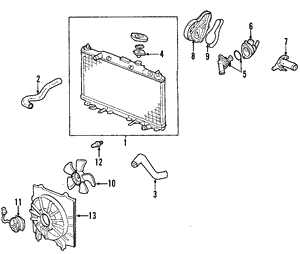 Think there might be a problem with your Honda CR-V’s radiator? 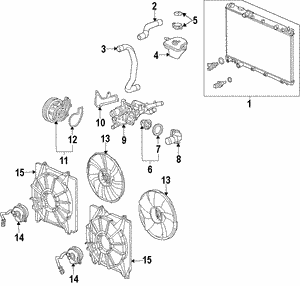 It never pays to ignore the problem, so make sure you contact one of the friendly and experienced team members at All Discount Parts to discuss the situation and, if necessary, arrange for a replacement to be sent right to your doorstep. 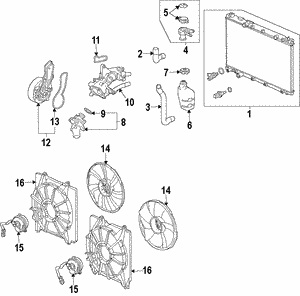 Leaking: If your radiator is leaking while the drain valve is tightly shut, it’s more than likely that there is an issue. 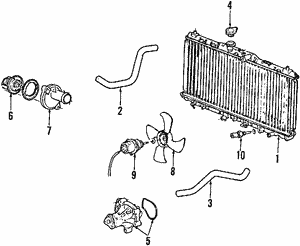 Rusting: Rusting is relatively easy to spot, and will be most often found along the lower half of your radiator if something is wrong. Flushing Problems: If there seems to be a rust or mineral buildup when you change the oil, your Honda CR-V’s radiator could be at fault. 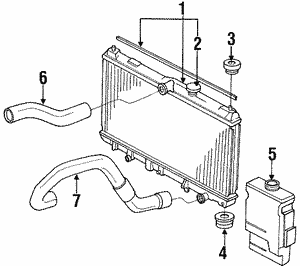 Overheating: The central function of a radiator is to extract heat from your engine’s coolant in order to keep internal temperatures stable. 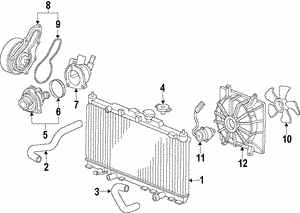 A faulty radiator may cause your engine to fail. Incorrect Thermostat Readings: Your CR-V includes a thermostat to let you gauge whether internal temperatures are safe, but a faulty radiator can interfere with its ability to function. 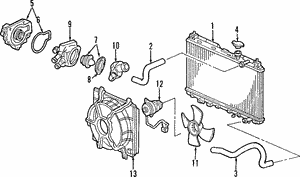 Coolant Loss: Fluids like coolant and antifreeze are vital to your vehicle, but they can leak out of a worn radiator. 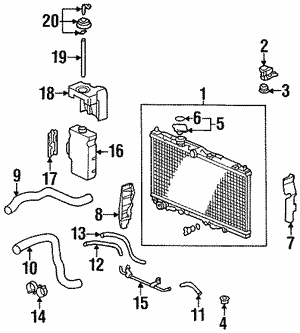 If your radiator does need replacing, it pays to pick out an OEM part instead of a cheaper aftermarket alternative. That’s because an OEM part will have been designed and produced by Honda themselves, and with your exact CR-V model in mind. An OEM part will function more effectively and reliably than any other piece on the market, and you can find yours today with All Discount Parts. For further information, just contact one of our team today.